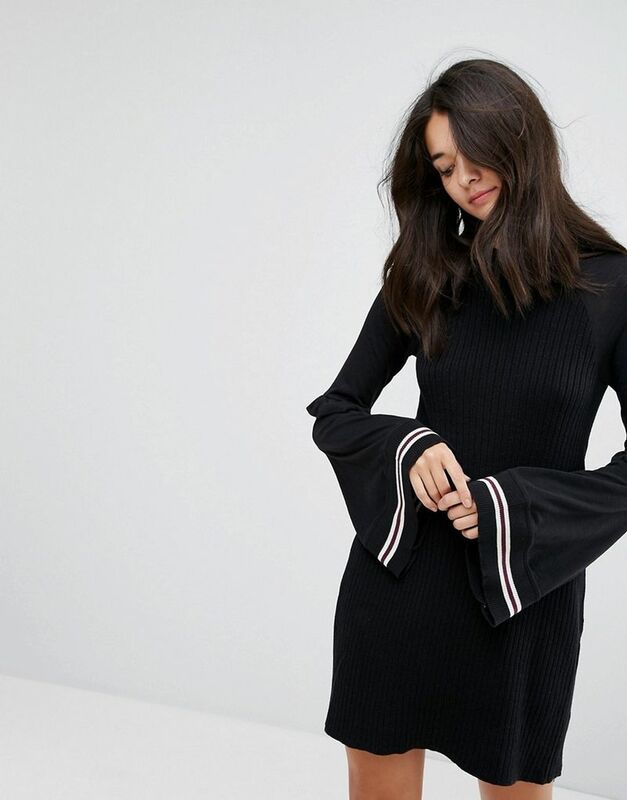 Casual dress by Free People, Cotton-rich knit, Crew neck, Ribbed panel, Flared sleeves, Frill and stripe detail, Regular fit - true to size, 76% Cotton, 24% Acrylic. With roots back to the 70s, the Free People girl lives through art, fashion, music and wanderlust. Shes feminine in spirit and Bohemian in attitude. From sweet to tough, tomboy to romantic, Free People mishmash colour and prints across an inspired collection of free-flowing maxi dresses, super-soft jersey and leather ankle boots.